Thanks to his very own words and deeds, it has been clear for some time now that Francis, otherwise considered by the morbidly naïve as the “active member” of a newly expanded Petrine ministry, does not truly believe in the divinity of Christ. Of course, Our Lord did no such thing; if He had, He’d be rendered, what? A mere man. Needless to say, a mere man cannot be present Body, Blood, Soul and Divinity under the appearance of bread and wine, which is perhaps why the blasphemous Argentinian heretic cannot manage to bend his knee before the Most Holy Eucharist at Mass, much less conduct himself reverently before the tabernacle. In any case, Francis provided additional evidence of his lack of faith in the divinity of Christ in one of his recent Santa Marta sermons. Get that? Jesus was tempted to lose hope – the theological virtue that is received upon one’s configuration to Christ in baptism! Don’t bother trying to decipher what “lose the memory” means; the point is that Francis sincerely believes that Jesus was tempted in the same way that you and I are tempted. Like Adam, Christ (the second Adam) endured temptation only from without, inasmuch as His human nature was free from all concupiscence, but unlike Adam, He withstood the assaults of the Tempter on all points, thereby affording His mystical members a perfect model of resistance to their spiritual enemy, and a permanent source of victorious help. As things stand today, with papal identity theft being openly perpetrated (nay, flaunted!) right under our very noses, it would seem that all of this is a relatively small thing, but the truth is it is not. In spite of the substantial reasons to believe that the resignation of Benedict was utterly illegitimate, and likewise the conclave that followed, the Catholic world at large (with precious few meaningful exceptions) is pleased to mindlessly follow Francis into perdition; as if he were in some way being guided by the grace of Peter’s Office. As such, it is helpful to stay alert to, and to make others aware of, his various errors; in particular, the Christological heresy discussed herein as Francis’ lack of faith in the divinity of Christ lies at the very heart of his unholy agenda. 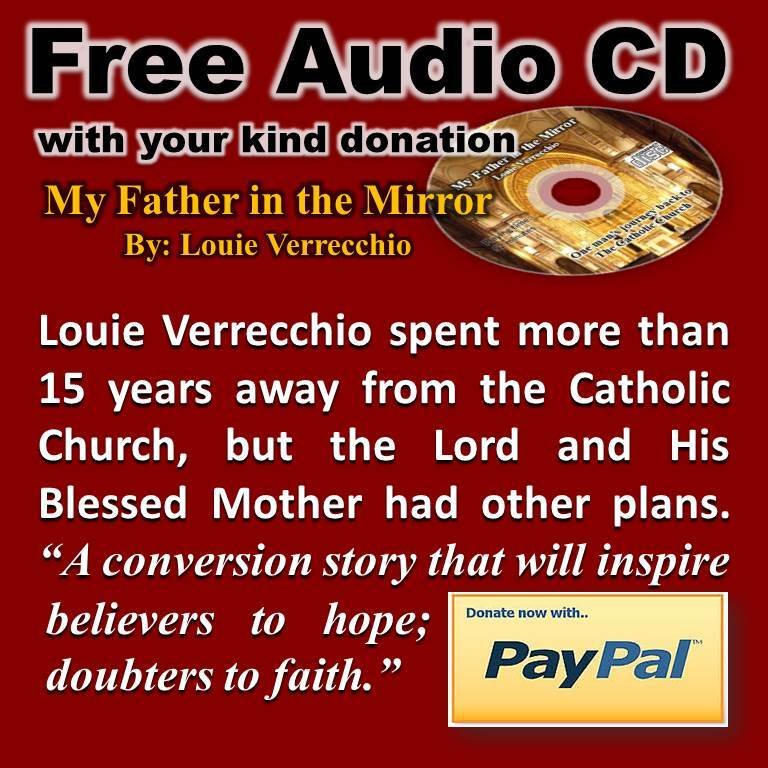 Is it possible to NOT believe in the Divinity of Christ and still be Catholic??? Thank you, Alphonsus Jr., for your no nonsense response. If Bergoglio does not believe in the Divinity of Christ, he is NOT only NOT Catholic, he is, by proper definition, NOT Christian! He is, however, not the CAUSE of this mess, but the PRODUCT of the mess going back more than 50 years. The devils of Vatican II are having their day. But Our Lady will have Her Hour. Her Hour of Triumph is assured. In the meantime, we must stay in the battle. 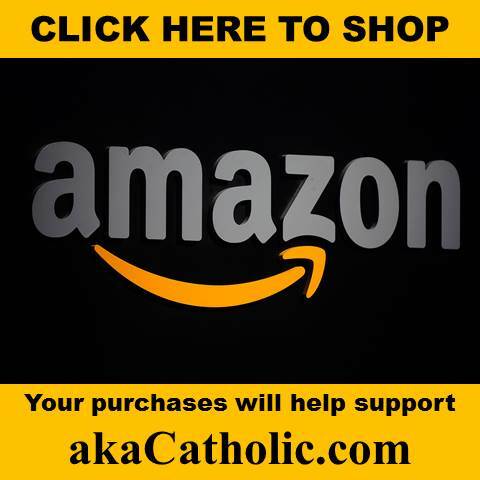 The Modern post-conciliar “church” is NOT Catholic! By “proper definition”, it isn’t, never has been and never will be possible to be a Christian if one’s not Catholic. Just another Vatican II lie that most catholics, including most trads, unfortunately have bought into. Do you think Pope John Paul II was a Catholic after he scammed the world about being Fatima’s Bishop dressed in white? How about after the Assisi false religion summit and desecrations? 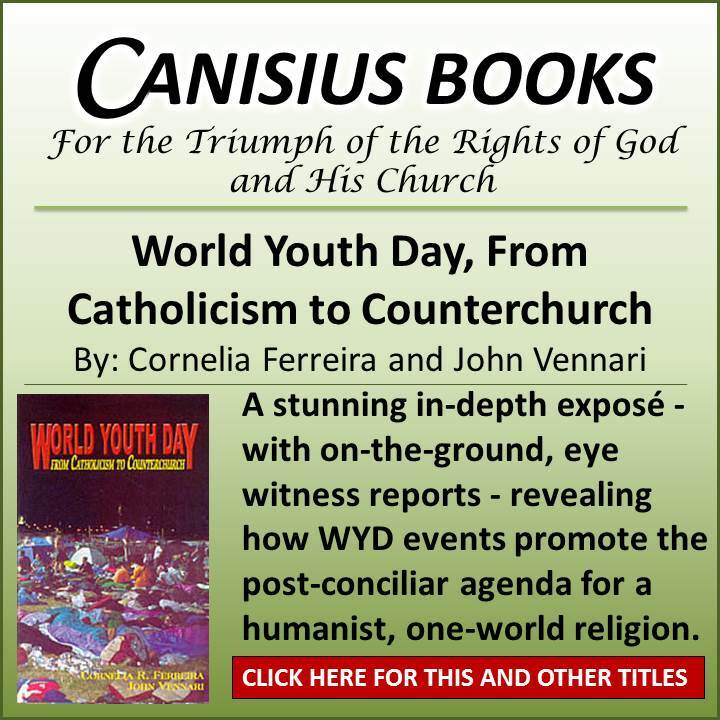 How about after the World Youth Day love-ins? How about after he sent Poland’s Solidarity Movement $100 million to simulate Our Lady’s promise of Peace? I’ve read Antonio Socci’s “The Fourth Secret of Fatima” (2009 English Publication, Loreto Publications) a number of times and also Christopher A. Ferrara’s “”The Still Hidden Secret” (2008, Good Counsel Publications). I was not there, of course, but I wondered to myself; Where did that bit of extemp come from on Capovilla’s part? ‘Mental illness’? ‘Exorcism’? The context and recounted structure of the conversation did not make it seem Capovilla was speaking of Sister Lucia. Did Capovilla make a slip of the tongue with his talk of exorcism and possession or was he just rambling? I don’t know if Socci or Paolini have made any connection but it would be interesting to hear their take on it. “That which afflicts the Immaculate Heart of Mary and the Heart of Jesus is the fall of religious and priestly souls. The devil knows that religious and priests who fall away from their beautiful vocation drag numerous souls to hell. Why stop at two heads in imitation of the earthly sisters Martha and Mary? Why not three heads in ridicule of the Holy Trinity? Or worse yet, why not seven heads with ten horns as the beast in the Apocalypse? I have a sneaking suspicion that old Jorge is, in fact, an Arian or Adoptionist of some sort. Wait and see. In his future “sermons”, he will continue to chip away at traditional Christology. This is just the beginning. I think at heart he is a modernist and probably has less faith than any Arian. Not certain though. And note how he immediately starts whining about “hypocrites” who “judge others” in his most recent “papal address”. You’re probably right: he’s not an Arian, he believes that he is above Christ. Vatican II was just the beginning. The process will continue until they “establish” a one world order false church emptied of dogmas and the true religion. In the Mystical City of God ,the Venerable Mary of Agreda stated that since Christ could not leave the faithful an example of the virtues of Faith or Hope , as he was God , His Mother contained those Virtues in an eminent degree .There is a concerted effort to strip Christ of His Divinity and present Him as a glorified social worker and reformer ,and eradicate the memory of His Passion. My understanding was that Jesus could only be tempted externally, such as hearing Satan saying “…lookee here what I can give you! …” but never internally, where He might dwell on the temptation and entertain the possibility of evil, mulling it over in His mind such as we fallen creatures do. To claim Jesus was tempted internally is blasphemy and shows a complete denial of the Divinity of Jesus. He was without sin, full of grace and truth. The same act of denial can be said of those who deny Christ’s miracles, such as the multiplication of the loaves and fishes, reducing it to a mere sharing party, as the occupier of the Chair of Peter has stated. What a sorry state of affairs; if they only knew how harshly they will be judged for denying Christ, they would be petrified with fear, their legs would buckle and they would fall flat on their faces begging forgiveness. Pride keeps them standing. Can we cut to the chase? Jorge Mario Bergoglio is not the Pope. Let’s spare ourselves the aggravation. I heard someone who claims a close relationship with Fr. Kramer said that Fr. Kramer now considers Francis a invalid Pope. Yes, I believe so. He argues that the formula of resignation used by b16 contains a grammatical error which renders the sentence unintelligible. According to an old, and never abrogated canon law, that makes it invalid. Therefore B16 is still pope. I don’t know if this is true as I don’t know Latin beyond an ete missae est. Seriously, what difference does it make if Francis or BXVI is Pope? Follow either one and you’re on the road to Hell. In other words, Muller is a heretic. Yes, of course Cardinal, and how do you explain the two disciples on the Road to Emmaeus, who weren’t even thinking that their strange travelling companion was Jesus? Did they both have the same “personal” event? Did they imagine an imaginary traveller who spoke to both and both listened to Him? Your theorey makes no sense, especially when compared to Scripture. But then, you must be too busy to actually study Scripture. To deny the reality of the Resurrection is to cease to be Christian. “But where is the world today? If Our Lord was still here, what would He say? Would He no longer say these words: “The world hates Me. And the world shall hate you because you love Me and you believe in Me.” Where is this world? Does it exist no longer? It has never been so much in existence as today! Never did Satan have so much influence in our world as today! And all this influence is contrary to Our Lord Jesus Christ. Therefore, we must maintain our faith in Our Lord Jesus Christ. We shall conclude by saying that we must remain faithful. Fidelity must be the mark of the true Catholic. Do they not call us “the faithful”? We are faithful, and being faithful, then we must truly practice the virtue of fidelity. What is fidelity if not to keep our promises, to keep our Faith in what has been taught in the past. Fidelity encompasses the past in itself. There can be no fidelity without something said or agreed upon. One is faithful to his word, and faithful to his Faith. We want to be faithful to our Faith, to the Faith of all times. No one can change our Faith. We believe that today as well as in the time of Our Lord as well as for the two thousand years in between. OK–Bergoglio is not Catholic. He may not even be Christian, but he sure is cool and a DopePope to boot! 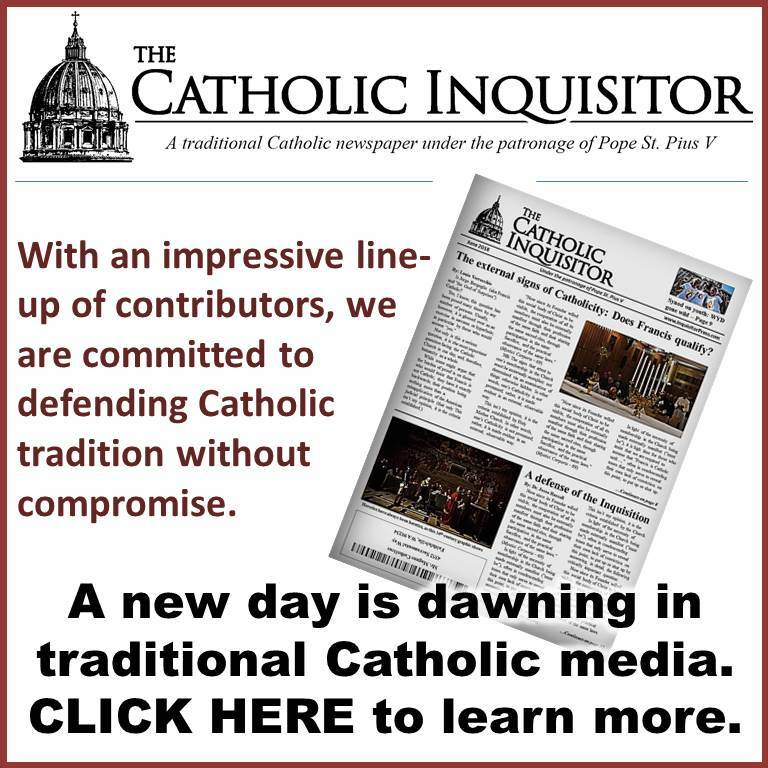 Look at this article and video and be assured that Our Lord’s Church has been betrayed. Warning: Not to be viewed directly after eating!! P.S. I can’t wait to see Bergoglio’s prayer intentions for June. Perhaps, he will talk about the virtues of surfboarding! Thank you, John 6. I notice Bergoglio did not mention that June is the month of the Sacred Heart (Feastday June 3rd). Do you think he forgot–or perhaps, he has never heard of the Sacred Heart. Or, even worse, he’s aware of Our Lord’s apparition to St. Margaret Mary Alacoque and First Friday Devotions, but just thinks it is hogwash. If Bergoglio is Catholic then so is my neighbor’s cat!! As far as I am concerned, he one big bore. The mere sound of his voice makes my hair stand on end. Wish he would just go away—-far, far away! Is there any way we can just ban those two words, “encounter” and “solidarity”? Just the very use of those two words should be considered anathema. Fr. Bergoglio and I are the same age. No matter, if I could get close enough to him they would have to take us both to the hospital to get my foot out of his backside. Even then I doubt I could get his attention. If you WERE to ever get close enough and had to be taken to the hospital, you would be in good company. Francis attacked ““the lawyers, theologians who always go the way of casuistry.” Bl. Cardinal Newman somewhere refuted such attacks on casuistry; in particular, if memory serves, the Protestant attacks on St. Alphonsus Liguori’s casuistry. The fact is life can be highly complicated, and only a properly trained, and orthodox, Catholic priest can properly disentangle some moral dilemmas. “The Virgin Mary imitated her Divine Son and she too tried to model her sentiments on those of her Divine Son. She too was filled with the Holy Ghost. This was so for her whole life but without any doubt, in a very particular way during the Passion. To Restore the Honor of the Father We must never forget that the first and main goal of these two Hearts inflamed by the Holy Ghost was the love of the Father. Indeed, love of the Holy Ghost, this “Consuming Fire,” leads to the Father. It is none other than the love of God: “God is Charity.” Therefore, the Holy Ghost can do nothing other than lead us to God, to lead us to the Father. Thus Jesus was suffering first of all in order to restore the honor of God the Father. The Virgin Mary, too, was united with the sufferings of her Divine Son in order to restore the honor of the Father. The Father receives infinite glory, really infinite, from His Divine Son. And He also receives the greatest created glory from a privileged creature. This creature was the Blessed Virgin Mary, united with her Divine Son. She was the first to be truly redeemed. She was perfectly redeemed, in the sense that she has not even known sin. It was in consideration of the Incarnation of Our Lord that she was Immaculate in her Conception and thus has never known sin. ….She is truly called the Queen of Martyrs. She too gave herself, all her blood, all her life, all that she had and, in particular, her Divine Son. She gave all to the Good Lord for the redemption of souls. Mother of Mercy, Mater Misericordiae. Such are the origins of the Sorrows of the Blessed Virgin Mary. Suffering with Peace and Joy Far from us to think that in the Passion there is sadness leading to despair and that this sadness would have put Jesus and Mary’s souls in a certain kind of despair. No, not at all! Since it was precisely charity which was the origin of these sufferings, charity produced in their Hearts peace and joy: Though it might seem unbelievable to unite passion, suffering and mercy with a profound joy, yet the Heart of Our Lord Jesus Christ was filled with joy indeed; and so was the Heart of the Virgin Mary, united with that of Our Lord. 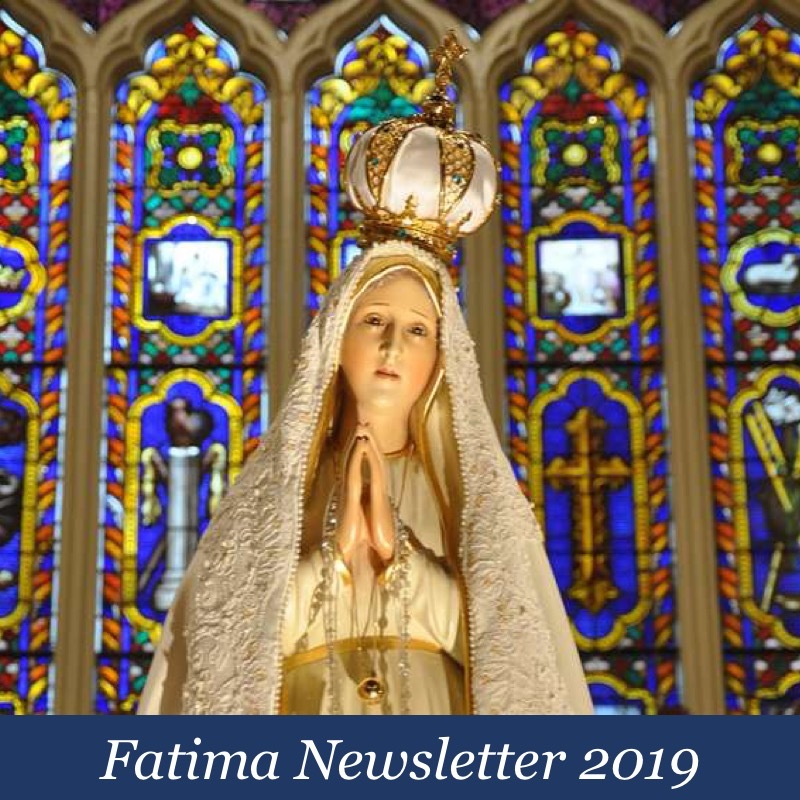 Our Lady of Fatima, save us. 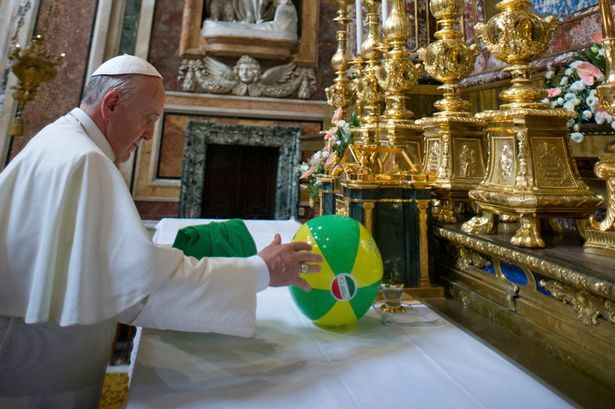 I’m fairly new to following this papal disaster, so I have to ask: is the beach ball REAL in this picture or is this a photo-shopped symbol of how bad the situation has gotten? 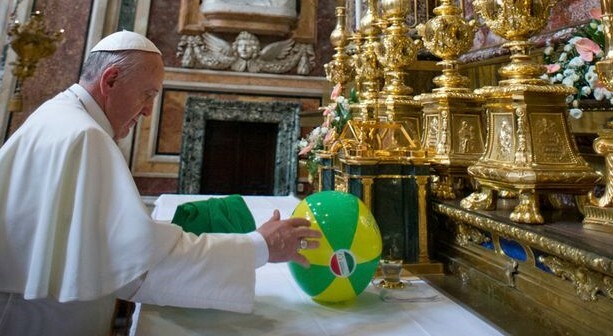 I read once that Francis put a football on the altar, so it’s impossible to know anymore, since what used to be unthinkable is daily the reality. But what in the world was going on here? And thank you Louie for such a treasure trove of information on your site! Welcome to the site, orapronobis. I am sorry to tell you that the beach ball is REAL. Watch from 36 seconds and weep. Oh my. I never watched much Francis footage, and now I see why I didn’t bother. But maybe this can help me convince some friends who still don’t get it. Thanks for the quick reply! Welcome, orapronobis. Francis willingly provides ammunition every day to convince Catholics he is a fool. I feel very disrespectful saying this about a man who is supposed to be the Vicar of Christ on earth. However, I take comfort in knowing that Our Lord knows that this anger comes for love of Him. On this, I speak for all of us. God bless you in your efforts to convince those you do not get it. What will it finally take–I’m afraid to think about it!